While the Ontario Championships are about to pass the mid way point and Nationals look for m the horizon some incredible accolades have been heaped on our organization. The first is the fact that a record number of athletes have been named to all-star rosters. 11 across 5 age groups. This week Mia Workman , Alexandre Nsakanda, Matt Wlodarski and Jackson Dunning have all been added to the 18u squads joining our 17u foursome and 16u Girls trio. Today we learn the 18u Mustang and lifetime Maverick Alexandre St-Denis was named this season's Ken Davies award for outstanding male athlete. The Davies award always given with it's female equivalent the Evelyn Hollick award recongnizes both the outstanding performance ability of a player but also highlights their academic achievements and community involvement. Alex truly is a man of all seasons and very deserving of the award. Alex joins Mav Alum Jeremie Lortie, Bruno Lortie and Alex Oneid in being so honoured. 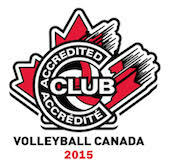 To add to all that great news we have just been informed that the club has maintained through the most stringent process yet our status as a Volleyball Canada Accreditted club for our overall excellence and service to the Volleyball community. For this a massive thank you goes out to those who do so much for the club in keeping the standards high. Frank and Tammy St Denis, John and Sally Spack, Bruce Dunning, John Nguyen, Sheila Roy and Chris MacLean, each and everyone of you an all-star in my heart. While the blooms are really starting to show this spring my mind can only wander to thought of all that is still waiting to bloom and for our young athletes to make their mark on various High Performance programs with either VC or the OVA maybe on the beach. So on the 83rd anniversary of my Father's birth I couldn't t be more proud.